Ancient Egyptians always had an intense and complex relationship with animals in daily life as well as in religion. Despite the fact that research on this relationship has been a topic of study, gaps in our knowledge still remain. This volume presents well over 30 contributions that explore Human-Animal relationships from the Predynastic to the Roman period. The essays cover topics such as animal husbandry, mummification, species-specific studies, the archaeology and economy of the animal cults, funerary practices, iconography and symbolism. 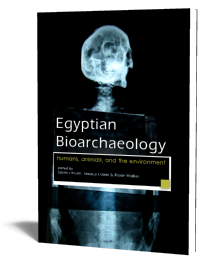 The contribution of archaeometrical methods, such as DNA analyses, balms’ analyses, AMS dating, radiography, and 3D imaging, are also represented as these play a significant role in furthering our understanding of the human-animal relationship in Egypt. The range of subject matter and contributors are indicative of the importance of animals and the role that they played in ancient Egypt and Nubia, and emphasises the need for continued inter- and multidisciplinary studies on the subject. 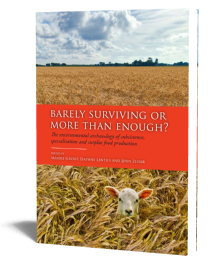 The research outlined in this volume has helped, for example, to better identify ways of sourcing the animals used in mummification, contributed to establishing the eras during which animal mummification became common, and highlighted new techniques for acquiring DNA. 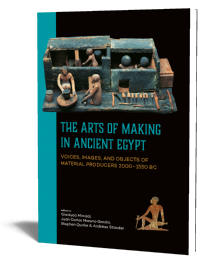 The fresh insights and diversity of topics makes the volume of interest for professionals (Egyptologists, (archaeo-)zoologists and historians), as well as those who are interested in Egyptology and in the relationship between humans and animals. 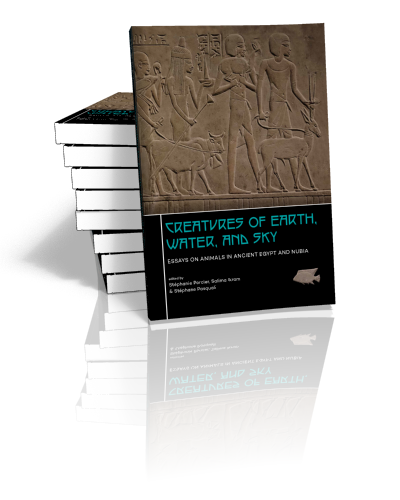 ‘Creatures of Earth, Water and Sky’ is the result of the first international conference ever dedicated to animals in ancient Egypt and Nubia (the International Symposium on Animals in Ancient Egypt, ISAAE 1, June 1-3 2016, held in Lyon). Interpreting the Faunal Remains from the Tombs at the Temple of Millions of Years of Amenhotep II in Western Thebes: Funerary Practices, Ritual Practices or, Perhaps, Something Else? Bœufs d’Égypte, bœufs du Soudan : une morphologie différente ? Stéphane Pasquali is Lecturer at the University Paul-Valéry Montpellier 3 (France) where he teaches Egyptology and conducts research on Written and Material Culture. He has recently published scientific papers about texts as objects and texts as creations, as well as on the reception of Pharaonic Egypt in Medieval Egypt. Stéphanie Porcier is an Egyptologist and Archeozoologist specializing in the study of animals in ancient Egypt and especially animal mummies. She directs the inter- and multidisciplinary program MAHES (French acronym for Egyptian Animal and Human Mummies) which aims to study the most important collection of animal mummies outside Egypt kept at the Musée des Confluences, Lyon (France).